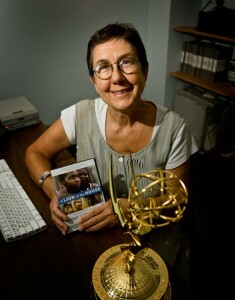 Retired Wright State professor Julia Reichert has been called a "godmother of the American documentary movement." Wright State filmmakers Julia Reichert and Steve Bognar’s latest endeavor, Reinvention Stories, is one of six projects selected for the Sundance Institute’s New Frontier Story Lab that will take place October 21–26 at the Sundance Resort in Utah. Drawing talent and expertise from all of the Sundance Institute’s creative programs, including the Sundance Film Festival, the New Frontier Story Lab supports projects that use technology to deepen stories and engage audiences. This intensive, residential retreat focuses on creative support through individualized story sessions, conversations about key artistic, design and technology issues, and case study presentations. “We’re very honored to be included in this highly selective lab process, and we know it will be a huge help as we work to forge our new project,” said Reichert. 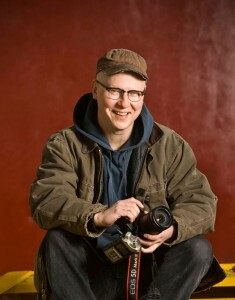 Filmmaker Steven Bognar graduated from Wright State's motion pictures program in 1986. Reinvention Stories is a transmedia project telling stories of people from a hard-hit post-industrial Ohio town as they struggle to start over in the wake of economic collapse. The project includes radio, documentary cinema and online interactive nonfiction storytelling. “This project is truly a collaboration between a big group of talented people,” said Reichert. The film’s collaborative organizations include WYSO 91.3, ZEEGA, Wright State University and CELIA, Wright State’s Ohio Center of Excellence in Collaboration, Education and Leadership in the Arts. “A number of Wright State film grads and advanced students are also involved on the team,” said Reichert. Reichert recently retired from the Wright State motion pictures faculty to return to full-time filmmaking. Bognar currently serves as a lecturer, filmmaker-in-residence and film community outreach liaison for the department. Reichert has been called “a godmother of the American documentary movement.” Her films include Academy Award nominees Union Maids and Seeing Red. Her 1971 documentary Growing Up Female was added to the National Film Registry by the Library of Congress in 2012. Bognar’s films Personal Belongings, Picture Day and Gravel each premiered at the Sundance Film Festival. Together, the pair has produced a string of highly acclaimed documentaries, including A Lion in the House (Primetime Emmy winner), The Last Truck: Closing of a GM Plant (Academy Award nominee) and Sparkle (Audience Award winner at the 2012 SilverDocs Film Festival).